The Secret to Making Command Centers That Actually Helps You! 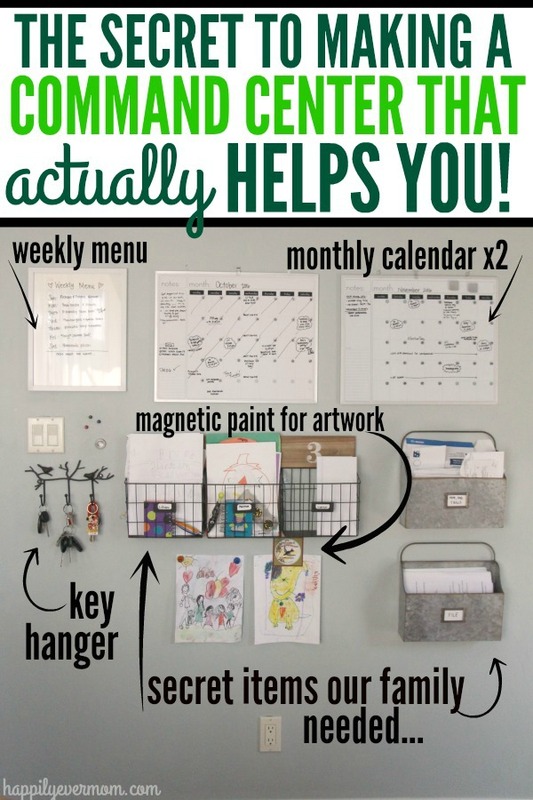 I have seen dozens of command centers on Pinterest. If you haven’t seen them, just take a look at our organization board on Pinterest. They are everywhere! Now, that I’ve got a kindergartener, a preschooler, and a baby, I feel like our organization has to become more efficient so that we can keep track of everything (and everyone!). That’s where command centers come in to help. But, after looking at so many of them, I felt like none of the examples would really help my family. Yes, they look darling, but I needed a command center that actually works for US! I came up with this list of questions for myself as I built our command center. 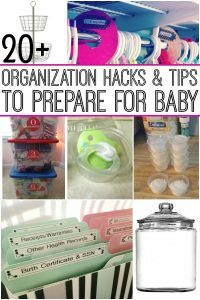 I know that if you go through this list, you’ll be able to identify exactly what it is that YOUR family needs in a command center as well. 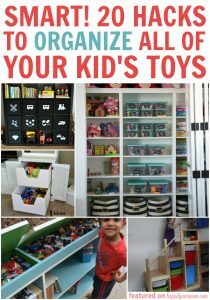 Let’s start to get organized! 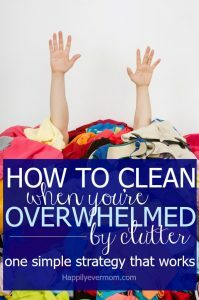 It’s no secret that I get overwhelmed by clutter. More specifically, I am a paper piler. I hate going through papers, so I just stack them. To make it worse? My husband piles papers too. Because I started investing in a few organization bins. Have you done this too? Organization bins will be my answer, I thought! We needed a system, not just a bin. So, I started to ask myself these questions so that I could build the system that we needed. It turned into a HUGE command center and it has helped a ton. 1. What bothers you MOST when you walk in your house? Every time I walked near our kitchen, I would sigh. A deep, heavy sigh. Because no matter how much I tried, the edge of our counters became a dumping ground for EVERYTHING. 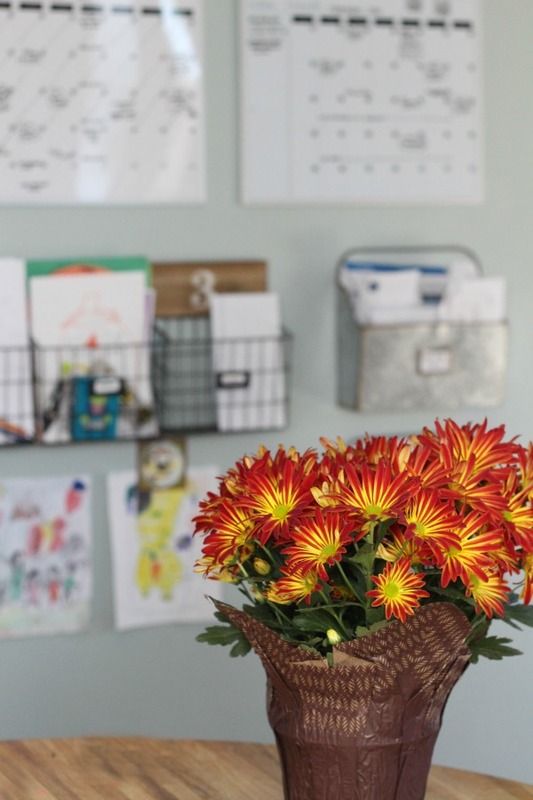 I started to realized that clutter begets more clutter, so I discovered the main culprit: mail, bills, and things to file (like important documents and kids artwork that we want to keep). With piles of papers there, we couldn’t stop more clutter from being added to the counters. What bothers me when I walk in my house is cluttered kitchen counters. The first step was creating a space for mail on our command center. 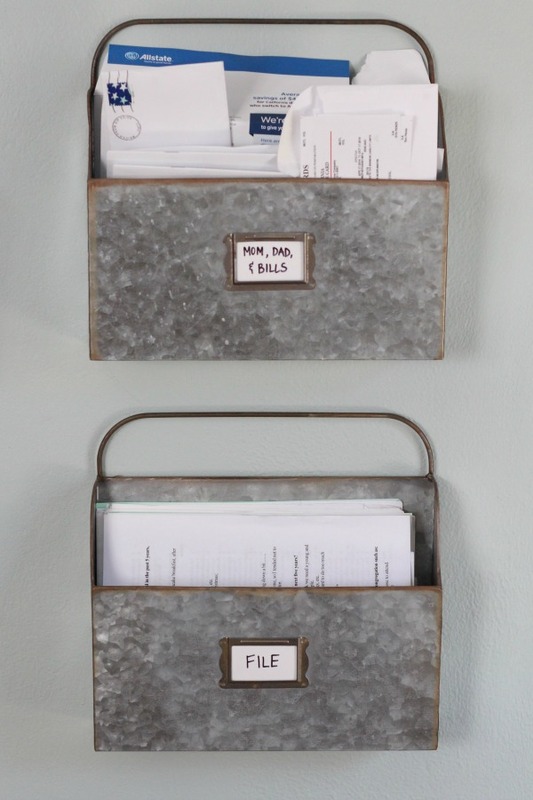 I orginally bought these mail bins to put fake flowers in because I want my house to look like something out of fixer upper, but I quickly realized that I would need them to put mail inside of instead (insert sad face). This post contains affiliate links to Amazon so that you can find something similar to what we’ve used for our command center! It’s no added cost to you – check out our disclosure policy. Follow up question: Can a Command Center help with what bothers you? If not, you’ve got to come up with another solution. But, if it has to do with paper, keys, purses, backpacks, lunches, jackets, etc. then a command center CAN help you. Start with what bothers you the MOST on a daily basis and then head to question #2. 2. What are You Constantly Losing, Looking for, or Misplacing? For me, this is my keys and my sunglasses. 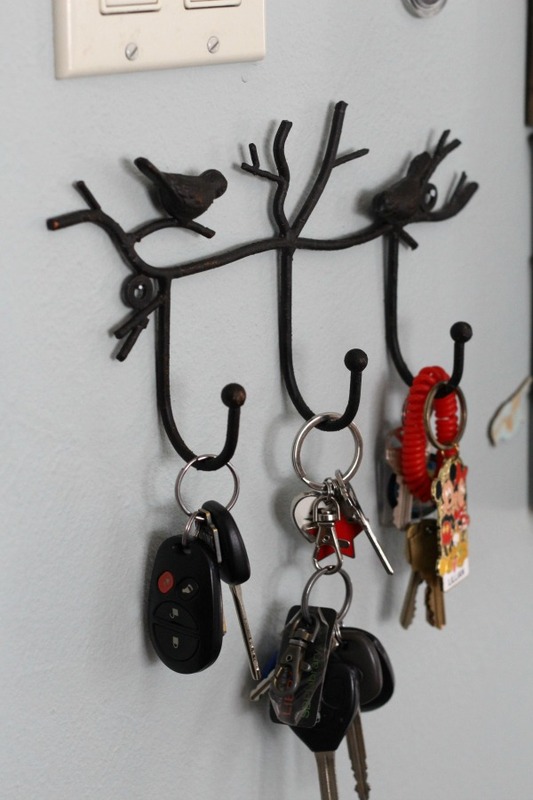 With a command center, this is an easy solution as we were gifted an adorable key hook that we easily added to our command center wall. Other things that we’re constantly looking for: kid shoes, jackets, and socks. Ever have to rush out of the door in the morning? I need these on hand! 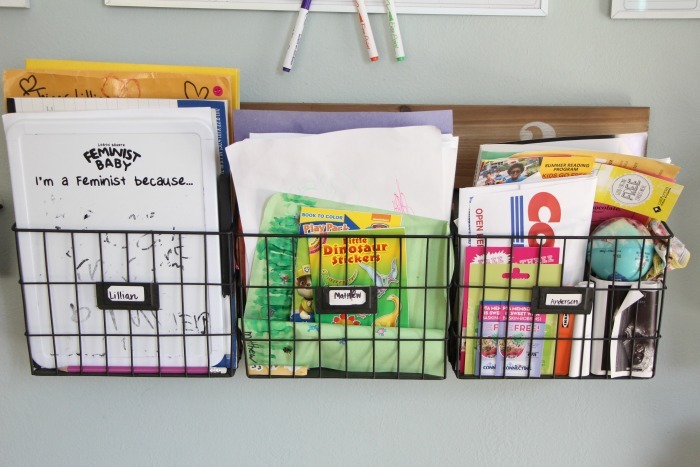 We plan on adding hooks beneath the kid’s mail bins to help with this. 3. What Comes Home from Your Kids Daily/Weekly? It is amazing how much comes home from school during the week! When I thought about question #1 (see above), it was not only mail but also my kid’s papers. We had to give them their own mail slots. This is also a place to keep unfinished artwork, notepads, and their own mail. My kids have learned quickly to put their stuff in their bin – this has been a huge help in keeping clutter off of our counters!! Psst…Grab this for a similar solution! I know this isn’t a picture perfect shot, but this is real life! I’m glad that my kids have a place to put all their things instead of just leaving piles around the house. We painted the entire wall with magnetic paint so that our kids can put up artwork that they are proud of. It also allows us to put up papers they need like school lunch menus, papers to be returned to school, etc. 4. Do You, Your Kids, and Your Partner Know What’s Happening Every Week? If not, you may need a calendar. This is my favorite part of the command center because my husband and I DO NOT use things like google calendar or online schedulers. We forget to check them. Because our calendars are in our dining room, we get to look over the calendar every morning and night. Plus, we can easily add anything when we remember something. It’s the best solution for us to make sure everyone knows what’s going on during the week and month ahead. 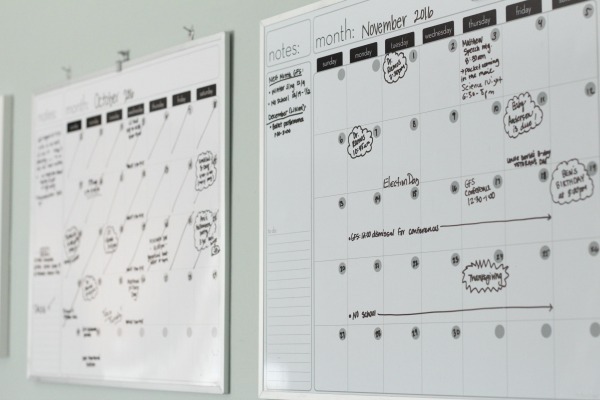 Tip: We’ll be grabbing a pack of dry erase markers in different colors so that each family member has a color. It’s one more step in making our calendar easy to read for our kids too! 5. What Information Does Your Family Need on Hand? I feel like I get asked this every second after my kids come home from school. The solution? 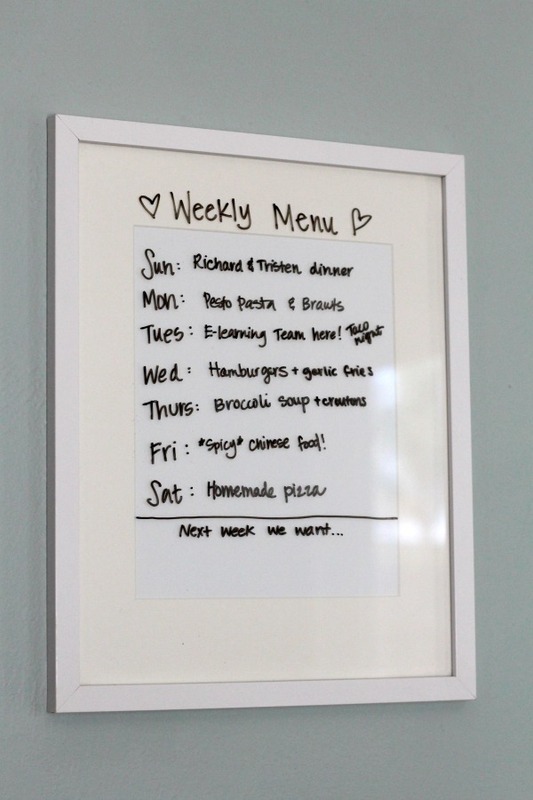 A simple frame that I can write our meals on for the week. It’s nothing fancy, but a nice way to let everyone know that I DO in fact have a plan and they can read it anytime that they want. I added the section “Next week we want…” in case there’s any complaints or eye rolls about the meals that I’ve chosen for the week. Note: Some other examples that I’ve seen of information that families need to have on hand are cell phone numbers, emergency numbers, parent work schedules, kid’s extra curricular activities, list of chores, etc. What’s the Secret to a Command Center that Actually Helps? Figure out what is driving you nuts in your house and start building a system to deal with it. It has taken me months to plan this command center out for our family, but it was worth every moment! Because it works for us!! Instead of trying to make something look gorgeous, figure out what your family needs and start there. Then, grow to add more pieces to your command center. 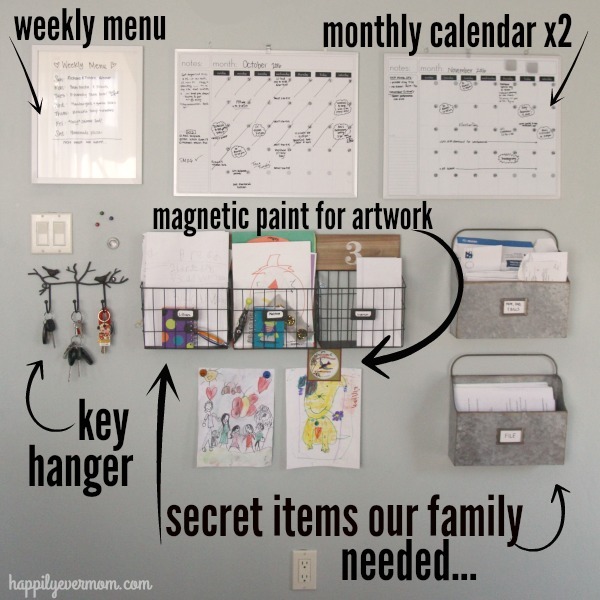 If you love this post, be sure to check out our other posts on how to stay organized as a busy mom. HI Katie! I LOVE this post! Where did you get your dry erase calenders?! Just Kidding Katie! I got way to excited and saw your link! haha. Are those the 16×20 calendars? Thank you! Michele, you are too cute! Yes, I use the 16×20 calendars. I couldn’t live without them! Did the link work for you? Thanks for this article that could just save my life! I will start preparing my own. Where did you buy the material to prepare it? Where would you put your command center? Kitchen? Entrance? Yes – this command center has saved my life too. 🙂 I LOVE it. Don’t know why it took me so long to put it up. We have ours in the kitchen because that’s where we had the space. I like it there because my husband and I can see the calendars while we’re eating at the table. It’s helpful when we’re chatting or talking about when he needs to leave town for work. I’d recommend that you’d put it a.) Where there’s enough space. and b.) Where you start your day. Since we hang our keys and check the calendar before heading out the door, I think it’s wise to put it somewhere where you’ll see it in the morning! Oh, and in the post, I’ve linked out to a lot of items that are similar to what I purchased on Amazon, but I bought almost all of the containers at Kohl’s and the calendars at Staples, I believe. The key hook was a gift that came through Amazon. Hope that helps! Thanks, Jessica! I’m so glad that it was helpful for you to read through the questions too. I’m a big believer in trying to share things on Happily Ever Mom that will actually help you!